60" x 34" x 12"
A happily married couple requested a hall table to catch their daily pocket contents. 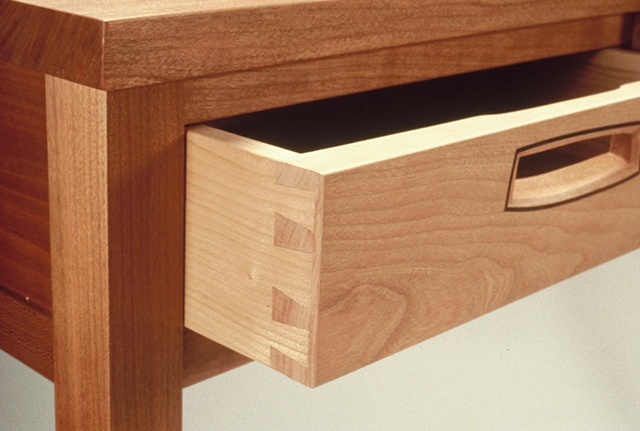 Though they really liked the design with a dished out surface that they could share, they also expressed a need for their own separate drawers. 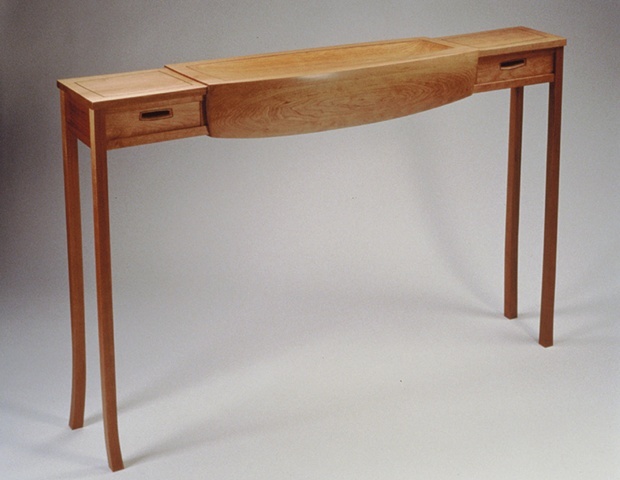 The common dish is in the belly of the table's middle, while the drawers are at either end. The legs kick in opposite directions to imply the table is caught mid-step. 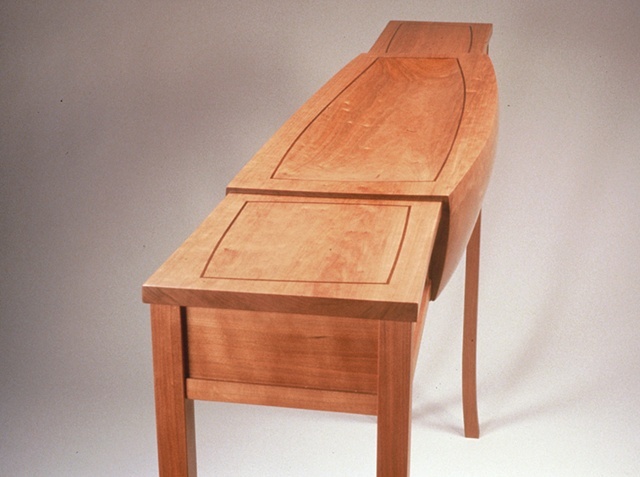 An inlay of Cocobolo outlines the drawer pulls and the surfaces. As the piece came together, it became a portrait of marriage which is simultaneously comprised of one united couple as well as two distinct individuals. A marriage is often like a two-headed animal walking in opposing directions, requiring a lot of cooperation and coordination to thrive, thus the title "Pushmi-Pullyu" after Dr. Dolittle's double-ended llama.